In the short time communities have been around on Google+, I’ve already found both of these communities to have very useful information and links in them related to Git and Github. Well worth checking out and joining if you are a regular Google+ user. And if you are a Google+ user, why not connect with me there? P.S. We can also connect on Github. This entry was posted in Git, Github, Google+ on February 28, 2013 by Dan York. When I received an email today telling me that one of my ancient projects was being “upgraded” to the “new” SourceForge developer platform, I had to admit that I had no clue that SourceForge was even launching a new platform. But sure enough, “The Next SourceForge” is out with a host of redesigned features that do look nice… and do remind me of everything that I currently use over on Github! Of course, the project being “upgraded” is a small python app called “viewportfolio” that I wrote back in 2000 during the height of the .COM insanity when Red Hat’s stock had exploded and the tech bubble was all around us. I last touched the code over 12 years ago! I have no clue if it actually still works – and to be quite honest if I were to do anything with that app today, even to test it and make any fixes, I’d probably move it first to my Github account where I do all my work today. But back twelve years, SourceForge was THE place where you hosted your project. Everyone was using “SF” and it was where we all interacted for code. Then, over time, it became a site so hideously overwhelmed with advertising that it was close to useless to interact with the site. And, well, more and more people started using the git version control system and for quite some time SourceForge seemed to still be wedded to SVN. So I moved any new projects over to Github, as did many others that I knew, and I left SourceForge behind, only occasionally going in there when I needed to find older projects. Even today, I’m working with someone who has a project on SF, but he’s moving that to Github in the next few weeks where I can work on it with him and where we’ll publicize it. I applaud the folks behind SourceForge for launching “The Next SourceForge,” if for no other reason than that I do believe it is healthy to have competition around – and having another competitor for Github (there are several already) is a good thing in that it will continue to encourage innovation among the platforms providing project hosting services. It’s also great to see the visual redesign of SF – a much cleaner interface and thankfully all the ads that were slathered all over the site seem to be gone. And these new features do seem to be great improvements for projects hosted on SF. Will “The Next SourceForge” prompt me to launch new projects on SF? Or to stop migrating projects away? 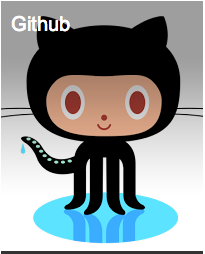 The reality is that I’m now comfortably ensconced over on Github and I rather like it there. I guess I also trust the people/company behind Github more than I do Dice Holdings, the latest corporate overlord of SourceForge, in terms of being responsive to users and to continuing to improve the user experience. Now this may be unfair… the folks behind SourceForge may be as equally committed as the folks behind Github… but one is a passionate startup and the other is part of a large publicly-traded company that is ultimately focused on helping connect employers and professionals with each other. This entry was posted in Github, Programming, Version Control and tagged Github, SourceForge on February 20, 2013 by Dan York. You are still using IPv4. This server has received 5726921 hits from both ipv4 and ipv6. Dan York, CISSP, is Director of Web Strategy at the Internet Society. Please note that the Internet Society has no connection to this site and any opinions stated here are entirely Dan's. Do you use Docker Swarm? If so, how? c13r on NodeFu – Free Hosting of Your Node.JS Apps In The Cloud!